Adjustable Easels are a retail essential that has a variety of display capabilities. 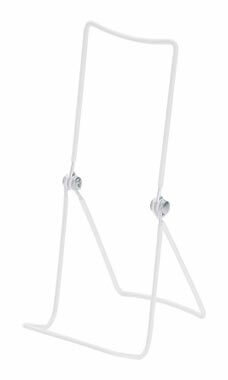 3-Wire Adjustable Vinyl Coated Easel features a non-scratch, non-slip coated frame that adjusts in tilt to allow the display of thicker and taller objects. The easels work well displaying books, brochures, and other tall back merchandise.